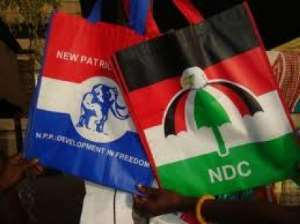 Mr Roland Adatuu, Executive Director of Youth link-Ghana, has called on the country's Legislature to repeal laws in the constitution that bar Chiefs from actively engaging in party politics. Mr Adatuu who is also a Researcher noted that in a comparative study of the Northern, Upper East and Upper West Regions there were considerable evidence to suggest that Chiefs were good politicians, especially those in northern Ghana during colonial rule. He said Chiefs played active roles in the governance process and indicated that traditional authority proved so useful in colonial policy of indirect rule that where colonial authorities found no chiefs as in acephalous societies, they created them, and Chiefs became the main agents of indirect rule. Mr Adatuu who was speaking at the end of a two-day seminar on Tuesday organised by Youth Link-Ghana for traditional authorities, political leaders youth groups, civil society organisations, and religious leaders in the Pusiga district of the Upper Region, mentioned that, in 1883, the Gold Coast Native Jurisdiction Ordinance recognised local Chiefs and their courts and thereby further incorporated chiefs into the British colonial administration. According to him Native authorities became organs of local government to which Native Courts were attached. Mr Adatuu said his proposition was further justified by others (Allah-Mensah, 2005) that in the light of the comparative failure of the African state to bring about democracy and development, and because the state has been undermined by greedy and violent political elites within and without Africa, chieftaincy has re-emerged as an important vehicle for more or less authentic indigenous political expression and to a large extent, a better institution for democratic governance through its active involvement in politics, especially in Ghana and the rest of Africa. He indicated that there were already visible cases of chiefs involving themselves in serious political issues in northern Ghana and noted that classical examples of those situations were beyond the scope of his study. Mr Adatuu hinted that by allowing chiefs to be involved in active politics, their families, especially wives and children would participate actively in support of their fathers. In this way, within the core of the traditional authority, women have the opportunity to express their political desires so freely without any hindrance from their husbands. He said the wives of the chiefs who would support either their husbands or his political party would marshal other women to support their interest once they were closely associated with the royal, in so doing more women would be involved and exposed to political issues such as the modern democratic system of governance. The Adatuu disclosed that in his developed model, known as Adatuus model in African Democratic System of Governance (ADSG) Framework in gender, Political Culture and Sustainable Democracy in Northern Ghana proposed that to increase the number of women at the local government level Area and Town Council and Unit Committee, District, Municipal and Metropolitan Assemblies, where chiefs were already represented, at least one wife of the chiefs should also be given representation at those levels. He said if that was done, the chiefs would recognise the worth of their wives in contributing effectively to national government and would involve them in decision making at their royal courts. Mr Adatuu's Model further proposed that the District, Municipal and Metropolitan Assemblies MMDA's should have a representation each from tindanas, soothsayers and rainmakers. He they would be exposed to modern ways of taking decisions and not relying so much on superstitions as the case was and they would also relay their experiences to their wives about meetings they had attended, indirectly educating their wives on public decision making.